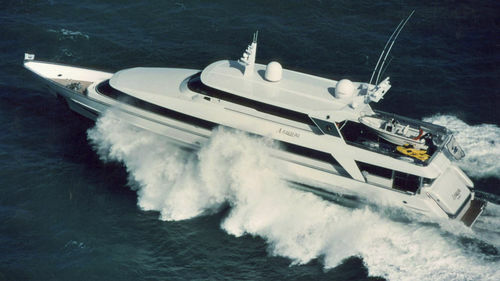 Fortune Elephant (Akhaliq) is a 115ft (35M) high performance luxury motoryacht from the Sheerline range. She features stylish lines, expansive accommodation, sophisticated entertainment facilities and superb detailing. From the board of Warwick Yacht Design and built by award-winning Alloy Yachts International she represents the finest quality New Zealand craftsmanship. At her top speed of 28 knots, Fortune Elephant remains smooth as silk and exceptionally quite, thanks to comceptionally sound vibration insulation. In displacement mode, she has a range of 1700 miles at 12 knots, but on shorter passages she planes effortlessly at a cruising speed of 25 knots. 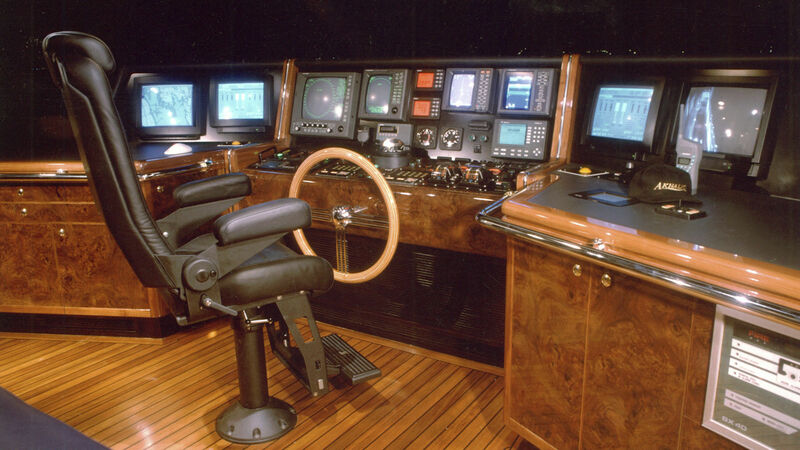 The most up to date electronic and computerised monitoring equipment keeps track of all the ship’s systems, while a four-camera infrared surveillance system ensures security at all times. 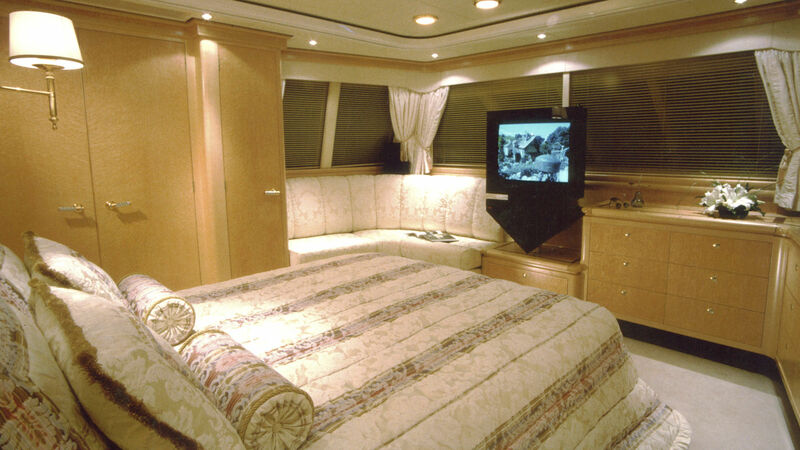 On board entertainment is a theatre quality, offering stereo surround sound, widescreen satellite TV and laser disk movies. For tropical climates, the entire vessel, including the enclosed aft deck, is fully air conditioned. IN more temperate conditions, the aft deck can open up to the breeze. 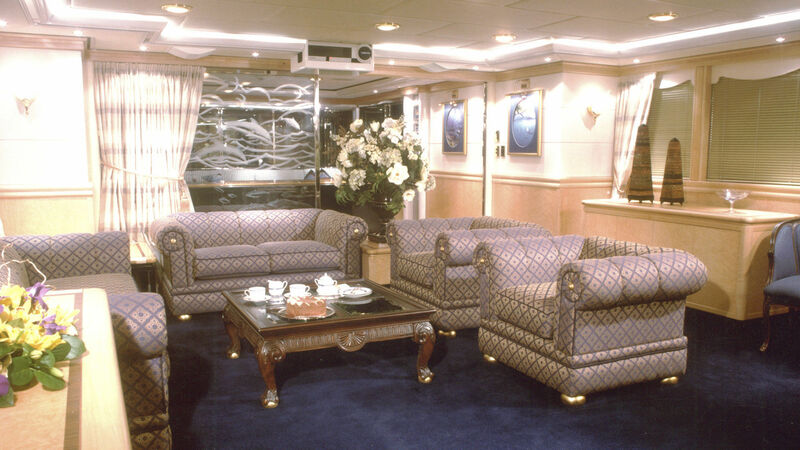 Lounging, dining and accommodation areas are spread across three decks. Superb joinery in birds eye maple and contrasting inlays combine with custom fittings to create an atmosphere of elegance and refinement. In concept and execution, this is truly a world class vessel. 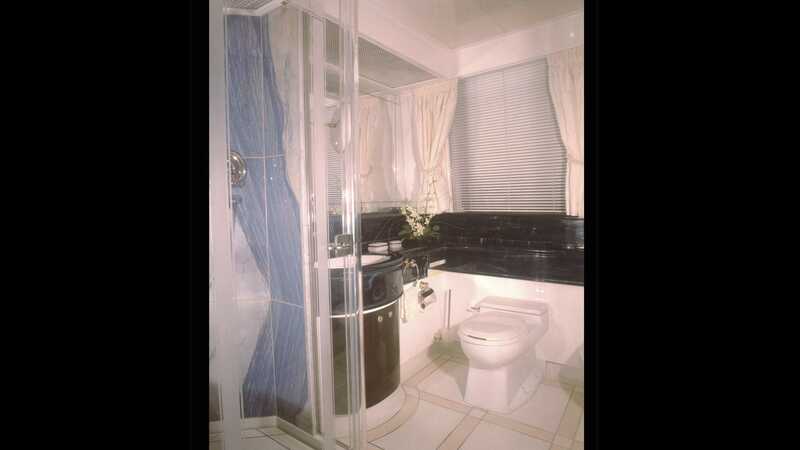 The owner’s suite is situated on the main deck and features a study and stunning bathroom finished in blue-veined marble with Corian inlayed floors.